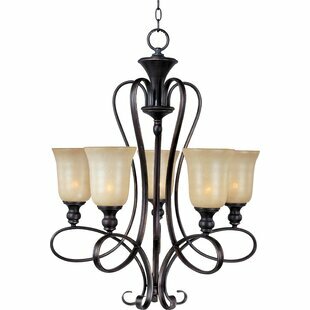 Bring a distinctive look to your luminary ensemble with this three-light chandelier, defined by its drum shades (available in multiple color options). 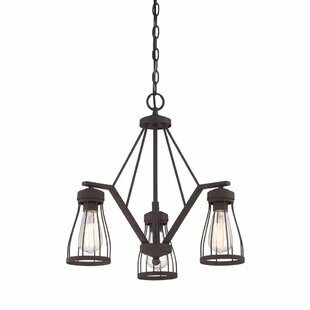 This piece showcases a towering frame made from metal and showcasing a clean-lined and open design for a geometric and breezy look. 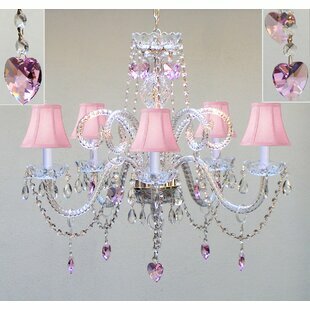 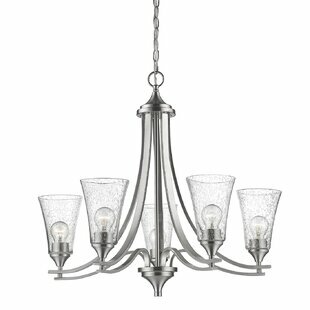 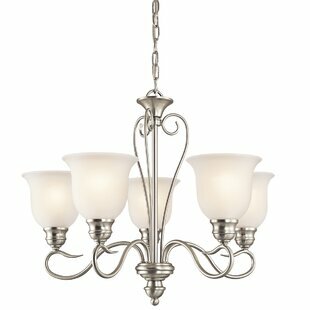 The chandelier is supported by a hanging adjustable chain that extends up to three feet. 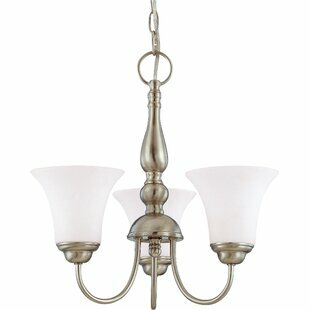 Perfect for illuminating meals in the dining room or an entryway ensemble. 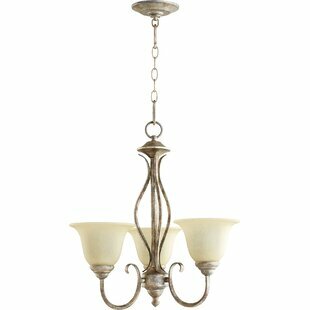 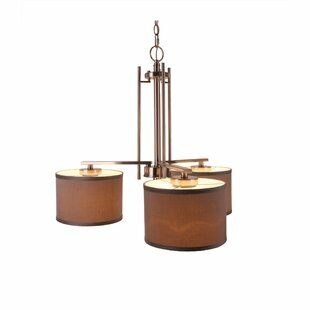 Number of Lights: 3 Fixture Design: Shaded Chandelier Adjustable Hanging Length: Yes Fixture: 20.38 H x 24.63 W x 24.63 D Overall Weight: 7.4lb.